Over 8,000 miles away from Washington and just moments from his second high-stakes encounter with North Korean leader Kim Jong Un, President Donald Trump is lashing out at his former fixer and personal attorney Michael Cohen, who is set to offer a blistering rebuke of the president later this morning in his first public testimony to Congress. In his intended remarks, a copy of which was obtained by ABC News and multiple news outlets, Cohen calls president Trump a "racist," a "conman" and a "cheat." "He is lying in order to reduce his prison time," Trump said in a tweet early Wednesday. Cohen's anticipated remarks could change during Wednesday's testimony. Trump, who is in Hanoi, Vietnam for the nuclear weapons negotiations with the North Koreans, is likely to stay up late to watch at least some of the testimony, two senior administration officials tell ABC News. The timing will be difficult however, Hanoi is twelve hours ahead of Washington and the testimony won't begin here until 10:00 p.m. It's also possible the president will still be wrapping up dinner with Kim Jong Un when Cohen begins his opening statement. 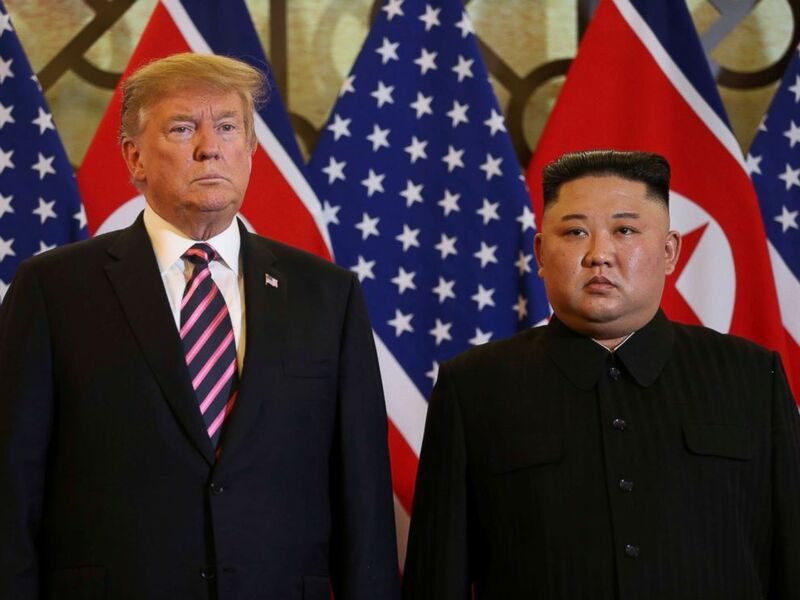 President Donald Trump and North Korean leader Kim Jong Un pose before their meeting during the second U.S.-North Korea summit at the Metropole Hotel in Hanoi, Vietnam Feb. 27, 2019. According to the administration officials, the president's team in Hanoi is furious about the situation, expressing outrage that "the media" is allowing the testimony of an "admitted felon" possibly overshadow an effort to resolve what has been arguable the world's most pressing security threat. Cohen is scheduled to begin a three-year prison sentence in May and has pleaded guilty to lying to Congress as well as financial crimes including bank and tax fraud. Cohen also pleaded guilty to campaign finance violation for payments made to adult film star Stormy Daniels during the 2016 presidential campaign. 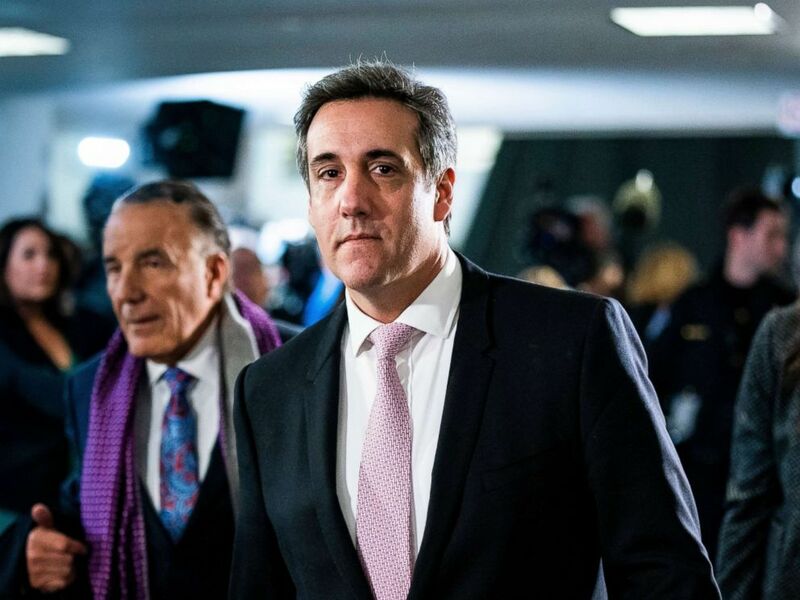 Cohen, according to a copy of his intended remarks, will be presenting a copy of a check Trump allegedly wrote after he took office to reimburse Cohen for hush-money paid to an adult-film star. Michael Cohen, former attorney to President Donald Trump, departs after testifying privately before the Senate Intelligence Committee in the Hart Senate Office Building in Washington, D.C., Feb. 26, 2019. Cohen is also expected to say the president once tasked him with helping fight off the bad press surrounding his medical deferments during the Vietnam War. "Mr. Trump claimed it was because of a bone spur, but when I asked for medical records, he gave me none and said there was no surgery," Cohen's opening statement says. "He finished the conversation with the following comment. "You think I'm stupid, I wasn't going to Vietnam," Cohen continues. "I find it ironic, President Trump, that you are in Vietnam right now." The comments obtained by ABC News and media outlets including The New York Times could very well change during Wednesday's testimony. The president is expected to hold a press conference in Vietnam following his meeting with Kim.